The monastery is a complex of cultural, dwelling and farming buildings which take about 8800 square meters. The Rila Monastery has an unique architecture. Outside, the monastery looks like a fortress. It has 24-meter stone walls which forms irregular pentagon. The Hreliov’s tower and the main church “The Nativity of the Virgin” cohabit at the center of the yard. The temple has five domes, three altars and two chapels. Maybe the most important thing in the church is the iconostasis which has incredible wood-carving. The wall-paintings were completed in 1846 by many masters from Bulgaria. The monastery has also its own library which is very rich in literally material. The museum, located in the monastery has a rich exposition – historical collection of 35 000 exponents, rich collections of icons, wood-carvings, cultural and ethnographical items. The museum has an unique work of art, called the Cross of Rafail. It is made of a whole piece of wood (81-43 centimeters). Outside of the town Stob, on the way to Rila Monastery, are located weirdly shaped natural red rock formations known as Stob Pyramids. 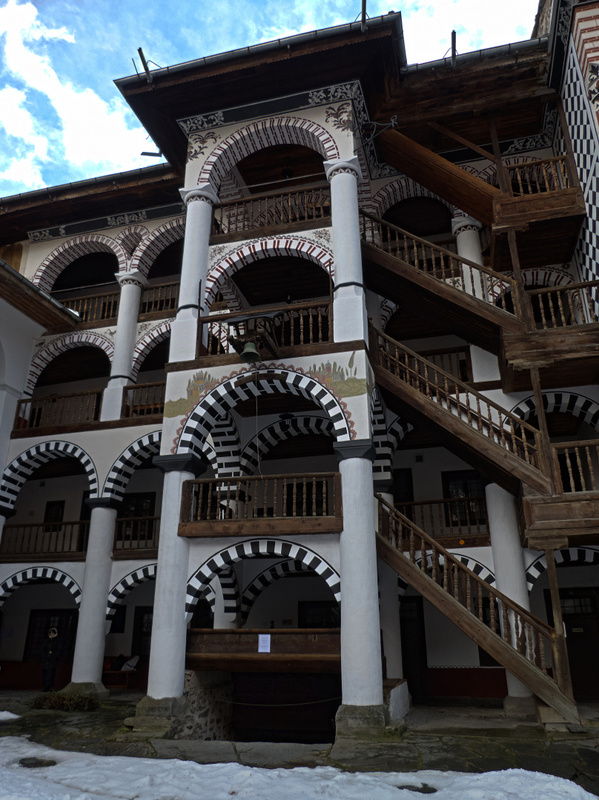 The Tourist Center in Stob provides guides and offers free brochures in Bulgarian, English, German, and Italian. 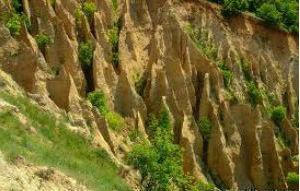 The sandstone pyramids of Stob are among the most popular natural attractions for the tourists in Bulgaria. The pyramids are 30-40 meters thick and 6-19 meters high. Some of the pyramids are pointed and needle-like, while others are round and topped with sandstone “hats” having dimensions of 120/80 cm. and resembling giant mushrooms. Their bases are wide and often joined to neighboring formations. They are arranged in picturesque ways, and many of the formations have been given names – the Towers, The Hammers, The Wild Woman’s Chimneys, The Snaggle-tooths, the Brothers, The Wedding Couple, and so forth. 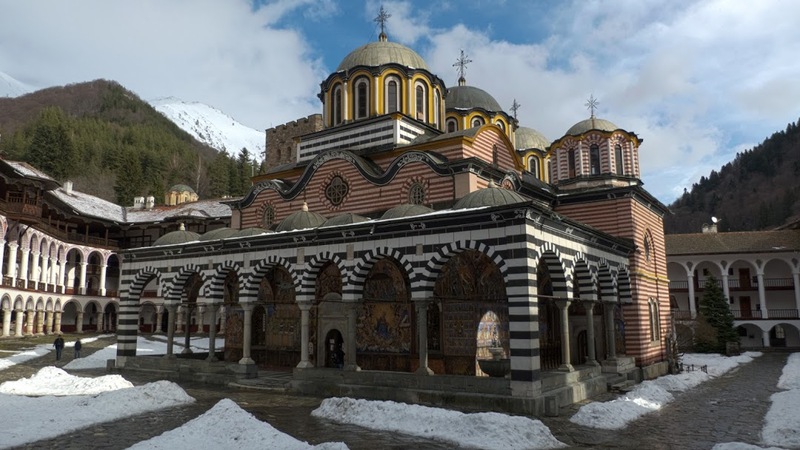 From above the pyramids, there is an excellent overview of the entire Rila Valley and its river that leads to The Rila Monastery set against snow-covered mountain peaks. The Old Houses in Varosha district have been preserved and restored. The History Museum is also situated in the Varosha district. It was built in Revival style and offers rich collection of “Archeology”, “Etnography”, “Nature” exponents. 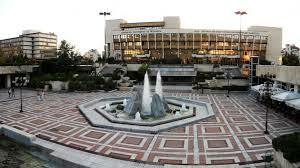 Blagoevgrad is a majour university centre- The American Univercity in Bulgaria, Neofit Rilski Southwestern University. The city is also famous with its beautiful and functional town center, all laid out in marble.